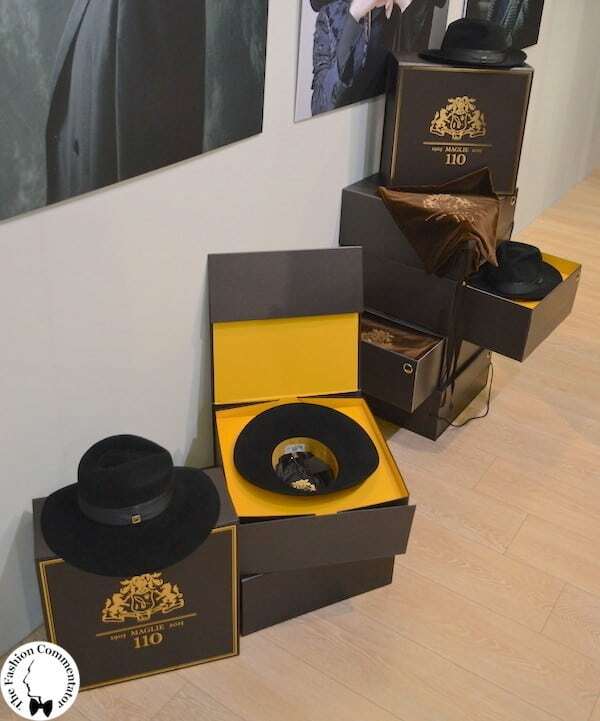 Doria 1905 celebrates its 110th anniversary presenting at Pitti Uomo 87 a limited edition of three hats for men and women. Let’s find out the history and the latest news of one of the best known Apulian brands. 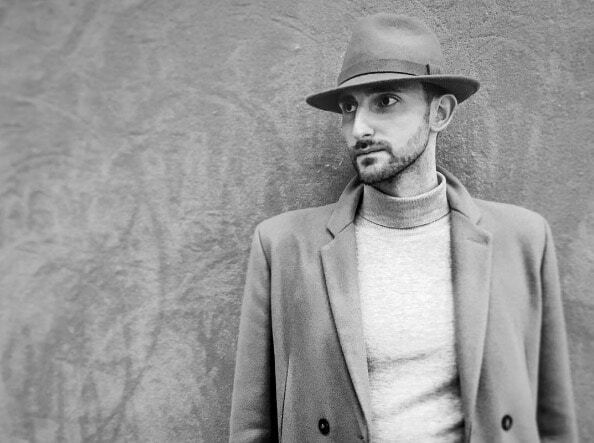 After having always read and heard about it in newspapers, magazines and social networks, finally this year I’ve been introduced to Doria 1905, one of those Italian historical firms which stands out in the world for the high quality of its hats. 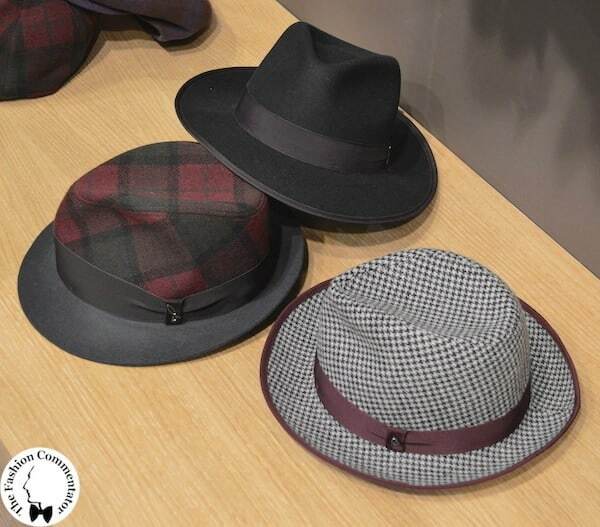 The history of Doria 1905 begins in the early twentieth century in the small tailoring workshop of the D’Oria family in the small town of Maglie (Lecce), where skilled craftsmen put togheter scraps of fabric creating those that within a few decades became the famous Doria patchwork flat caps. As you can imagine, the brand’s history is intertwined with the Italian socio-economic life. In 1937 the small workshop became the atelier Sabino D’Oria & Figli, dedicated to the production of children’s clothing and specialized in flat hats making; after the difficulties of the Second World War, the company lived the Italian economic boom and in the early ’60s a new factory was opened on the outskirts of the city, diversifying the production into children’s clothing, military supplies and, of course, hats. In the late 90s the company was taken over by the Gallo family, who, given its commitment to high-end products, relaunched the brand Doria with an ambitious makeover project, whose first effect was the change of the name into Doria 1905, celebrating this long and prestigious history. 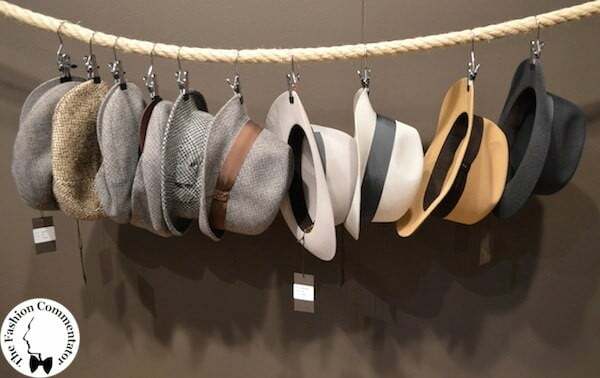 Walking in the Doria 1905 stand at Pitti Uomo was impossible to resist the temptation of trying all the hats: the wonderful wide-brimmed Fedora (my favorite), the Trilby with crown and brim in different materials and colors, and the iconic patchwork Coppola (flat cap) known worldwide for the particular checkerboard or sliced composition of the pattern. 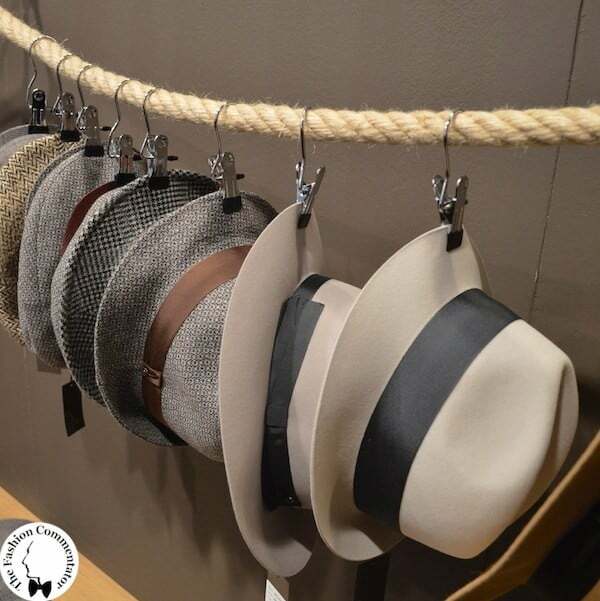 Looking at the huge variety of small masterpieces placed along the walls of the stand I spontaneously asked to Alessandra Maregatti (the director and designer of the brand) how can she give every season a new twist to a such difficult accessory as the hat. 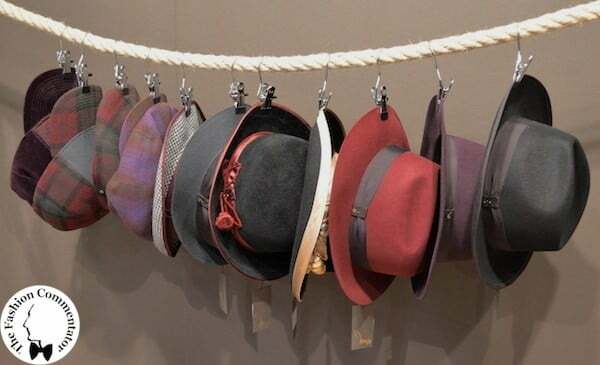 With the security and the passion of a person who is proud of her work, she revealed that the research for the new collections starts always from the wooden hat-shapes of the archive, avoiding to repeat already made models. 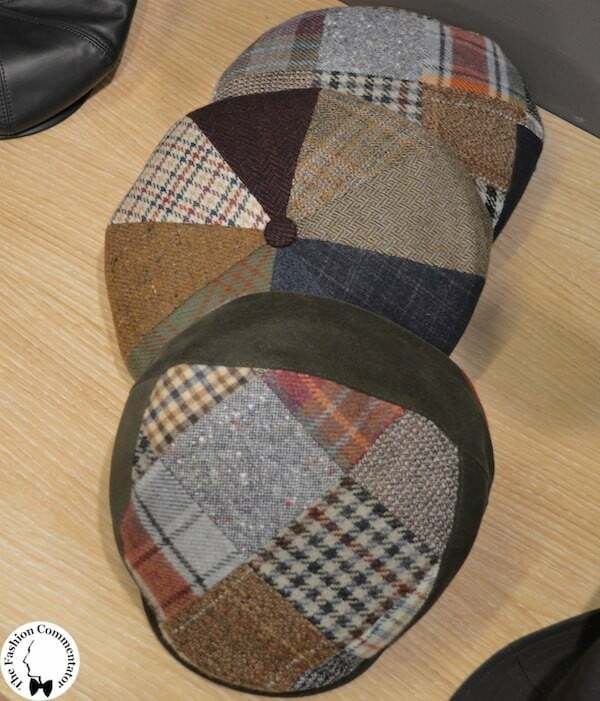 Each hat is a mix of elements from different eras, harmonized in a contemporary way, respecting the history of the brand and its roots through the Apulian color palette inspired by the richness of the territory with evocative names such as beige tuff, cocoa, salt, Negramaro wine, Ficomoro purple, but also pine green, olive green, rock, honey, Malvasia, Saracen black and Oria fog. 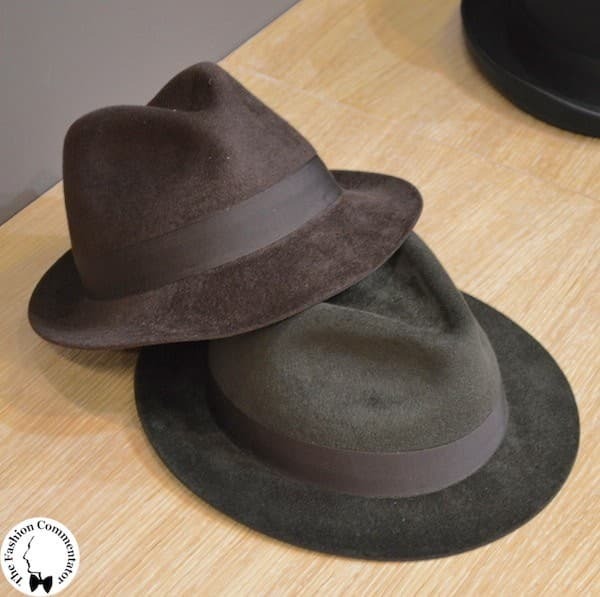 Among the multitude of colors and shapes, there were actually three pieces that caught the attention of everyone who passed by the stand: the three Saracen black hats of the Limited Edition for the 110th anniversary of the company made in only 1905 examples each. 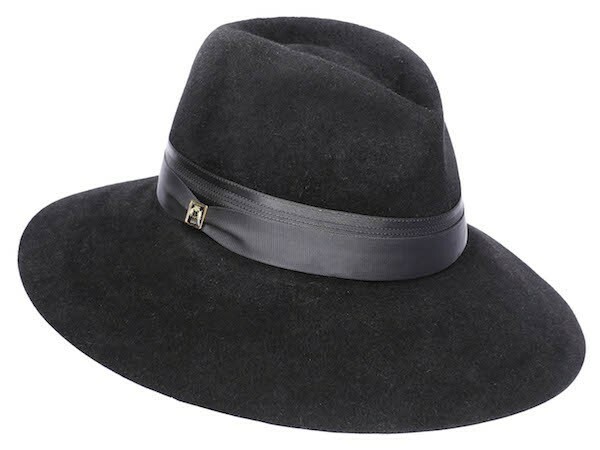 Two felt drop hats (classic fedora hat with drop-shaped crown taken from an archival hat of the 40s) with a medium brim for the men and wide brim for the ladies, finished in double velour and double layer band in satin and grosgrain with a little logo tag celebrating the anniversary; and finally an homage to the iconic patchwork flat cap, from which everything started, featured by a checkerboard pattern made of velvet, cashmere, suede and corduroy to please both the eyesight and the touch. 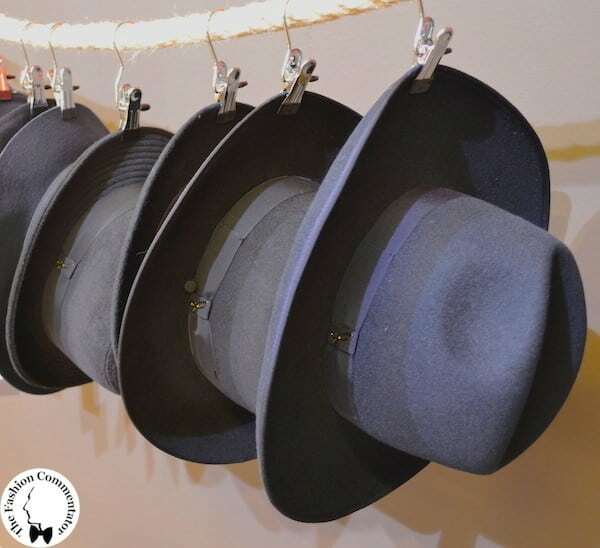 In full respect of the Italian craftsmanship tradition, each model is produced, packaged, ironed and formed by hand on wooden hat forms. Among the details of this special limited edition there are also the chocolate-colored silk lining; the mustard colored trimming with the embroidered motto of the 110 years; and finally the fabric label with the Casa Doria coat of arms and the number of the hat. It’s not so hard figuring out which one of the three I like the most, isn’t it? Gender bending is in fashion this year! Devo dire che il brand lo conoscevo solo di nome, non avevo mai avuto modo di “toccarlo con mano”! E’ stata davvero una bella scoperta. 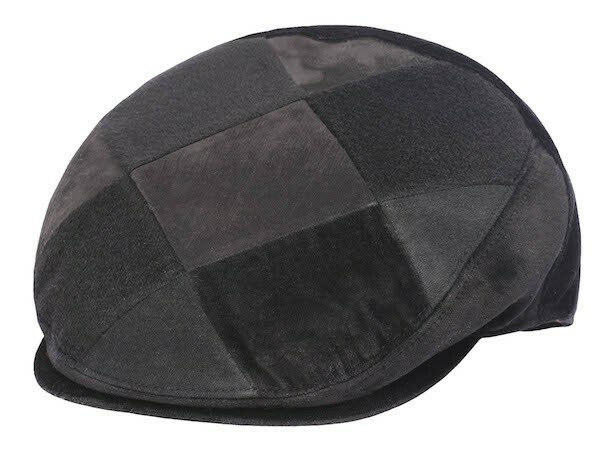 I cappelli sono bellissimi e fatti con materiali di pregio, si intuisce subito la qualità indossandone uno! Hai ragione, materiali davvero eccellenti! Se solo tutti capissero realmente le ricchezze che abbiamo nella nostra penisola!!! 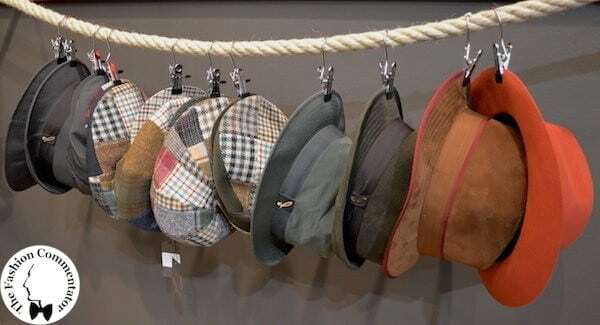 Io ho adorato i loro cappelli, era un brand che non conoscevo tra l’altro! Meno male che ti ho ricordato di passare dallo stand, non potevi perderti una chicca del genere! 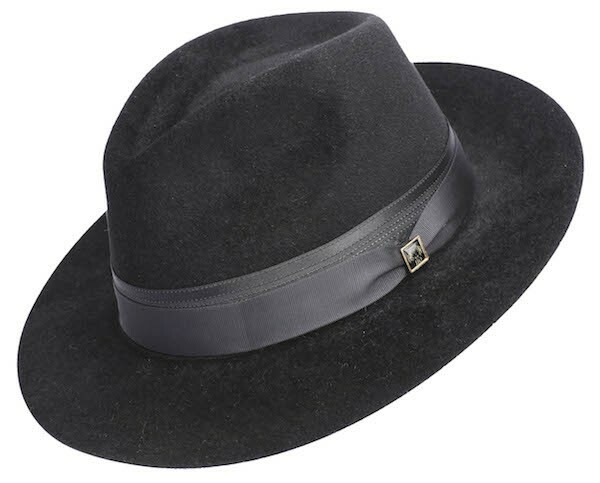 Secondo me, più delle coppole, Doria è bravissimo nei fedora. Mi piacciono i materiali, il design e soprattutto la varietà dei colori che sceglie. L’edizione limitata mi piace molto, soprattutto quello nella versione più “alta”, a metà tra il classico e l’amish! Condivido in pieno il tuo parere, ma scoprire l’intera storia del marchio e come sia partita da quelle semplici coppole in patchwork mi ha colpito davvero molto! Conoscevo già molto bene l’azienda, ma poter parlare con la signora Maregatti e aver la chance di vedere dal vivo le creazioni di questa maison 100% italiana è stato davvero un piacere. Mi è piaciuto particolarmente il fatto che abbiano riproposto il patchwork di tessuti come omaggio alle prime creazioni di Doria, ma con un appeal del tutto nuovo e inaspettato. Bellissime anche le box che accompagnano la limited edition per i 110 anni. 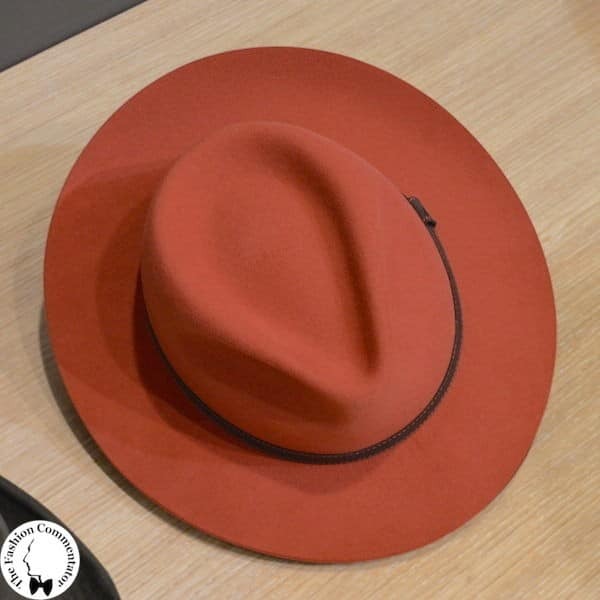 Quanto alla collezione in sé, come ben sai amiamo entrambi il fedora in quella tonalità salmone chiaro. Stupendo! E’ un vero peccato per me, così amante dei capelli, non avere potuto conoscerli personalmente e ammirare delle creazioni tanto belle dal vero. Sul tuo preferito ovviamente ho un’idea abbastanza precisa. Che dire? Sono semplicemente stupendi: belli, intramontabili e di classe! Irresistibili, affascinanti , perfetti li avro’ sicuramente nel mio negozio a Cortina la prossima stagione !